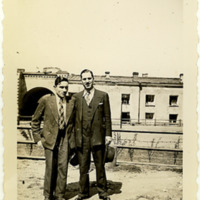 Photograph of Carlos Offermann posing with another man outside. 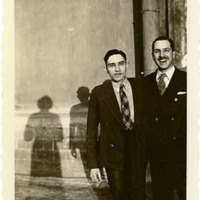 Photograph of Carlos Offermann holding a cigarette and posing with his arm around another man. 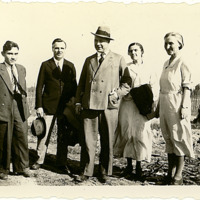 Photograph of Carlos Offermann posing with two men and two women outside. 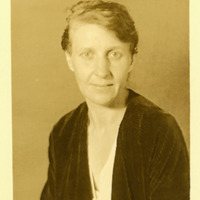 Photograph on postcard of woman posing portrait style. 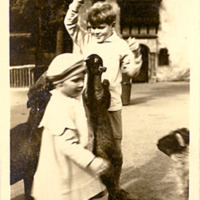 Photograph of young boy (David Muller?) 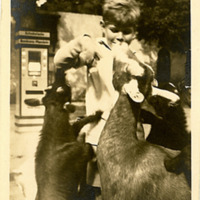 and young girl feedin goats at a zoo or park. Photograph of a young boy (David Muller?) feeding goats with a young girl feeding goats in the background at a zoo or park. Photograph of a young boy (David Muller?) feeding goats while they crowd around him at a park or zoo. 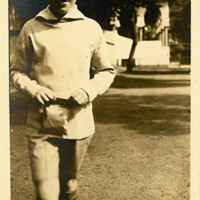 Photograph of young boy (David Muller?) 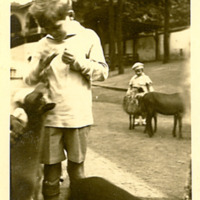 feeding goats at a zoo or park. 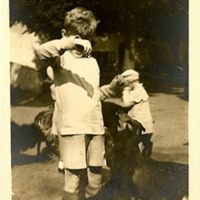 Photograph of young boy (David Muller?) walking towards the camera. Photograph of H.J. 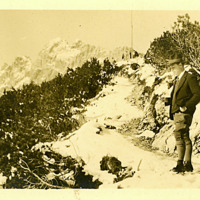 Muller standing on a snow covered path with mountains behind him.